Boise’s Euzkaldunak is a non-profit organization with the mission to promote Basque culture in the Boise area as well as the state of Idaho. Built in 1949 as a social club and gathering place, the Basque Center has played an important role in the history of the Basques here. The Basque Center helps maintain the Basque heritage by supporting Basque dancing, events, and gatherings. This has been enabled by the Basque community all across the Treasure Valley coming together for different annual events such as Basque card tournaments, the San Inazio festival, a Mortzilla dinner featuring Basque blood sausage, and the Sheepherder’s Ball Dinner and Dance to raise money to help individuals and families in need throughout the year. 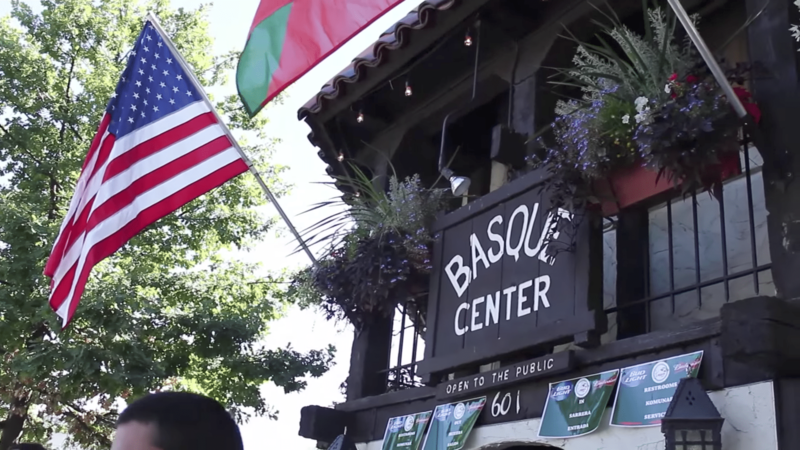 Come stop by the Basque Center to learn more and experience the Basque culture first hand! In 2001, the Euzkaldunak Board introduced the Legacy Award. This award is given to individuals who have exhibited a long-term commitment to the goals of Euzkaldunak. The following is the nomination letter for the 2018 Legacy Award recipient, Miren Artiach.